Is HIV or HIV treatment the culprit? The current body of research has shown that people with HIV are 50 percent more likely to have a heart attack than the general population. A six-year study conducted as part of the Veterans Aging Cohort Study (VACS) showed that 41 percent of the myocardial infarctions (MIs) occurred in people with HIV. When comparing MI rates to age group (see below), the investigators concluded that the MI risk was "significantly and consistently higher" among the HIV-positive participants and steadily increased over time, irrespective of substance abuse, comorbid illness, or other cardiovascular risk factors. The numbers are consistent with earlier research which showed a nearly two-fold increase in MIs among people with HIV, as well an additional two-fold increase in patients with HIV and hepatitis C coinfection. How Does HIV Contribute to Heart Attack Risk? While the causes for these increases are not entirely clear, mounting evidence suggests that HIV itself may be responsible, likely due to the inflammatory response triggered by persistent HIV infection. A 2012 study from the French Hospital Database on HIV (FHDH) concluded that HIV, as well as the immune status of the patient, are independent factors for increased risk. Additionally, a patient's risk of a heart attack is seen to increase in direct association to decreases in the CD4 count and increases in the viral load. The patient's CD4 nadir (the lowest point the CD4 count has fallen) is also considered a key contributor. What all of this seems to indicate is that long-term HIV infection places a person under the burden of persistent inflammation, which can adversely affect the cardiovascular system on both the cellular and genetic level. Research conducted at the University of California, San Francisco described the association between CD4 count and arterial health, whereby patients with a low CD4 count (or on no HIV treatment) experienced significant arterial hardening and thickening when compared to patients who had strong CD4 counts, early treatment, and consistent viral control. Do HIV Drugs Cause Heart Problems? 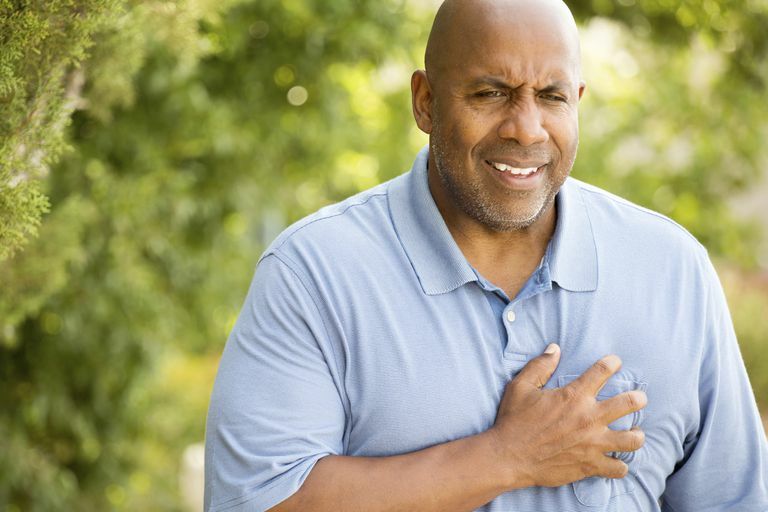 While certain antiretroviral drugs, particularly Ziagen (abacavir), have been reported to increase the risk of heart attacks, current research is somewhat divided on the subject. Overall, the risk is generally seen to higher among those with either a pre-existing heart condition or those who have five or more established cardiovascular risk factors (such as smoking, diabetes or high cholesterol). While some research has also suggested that HIV protease inhibitor class (PI) drugs in general increase MI risk, many now agree that any potential risk may be associated with an individual agent rather than the entire class of drugs. Two recent studies have concluded that three of the main PI suspects—Reyataz (atazanavir), Viracept (nelfinavir), and Invirase (saquinavir)—have no association whatsoever with MI risk. There is also doubt as to whether other PIs, such as Kaletra (lopinavir) and Crixivan (Invirase), contribute since the use of PIs is not considered the sole factor for the abnormally high lipid levels seen in HIV patients with heart attacks. However, the contradictory nature of the research—with some supporting and other dismissing the claims—leaves room for caution when selecting the appropriate drug combinations for patients with known cardiovascular risk. It also highlights the need for routine cardiovascular screening in all patients with HIV, with early intervention to reduce such modifiable risk factors as smoking, diet, and hypertension. In HIV patients with either established coronary disease or baseline tests suggesting disease, referral to a cardiologist is highly recommended. Consideration should be made to either starting or modifying therapy to include antiretroviral agents with less impact on serum lipid levels. Freiberg, M.; Chang, C.; Kuller, L.; et al. "HIV infection and the risk of acute myocardial infarction." Journal of the American Medical Association (JAMA) Internal Medicine. April 22, 2013; 173(8):614-622. Freiberg, M.; Chang, C.; Skanderton, M.; et al. "The risk of incident coronary heart disease among veterans with and with HIV and hepatitis C." Circulation: Cardiovascular Quality and Outcomes. July 2011; 4(4):425-432. Lang, S.; Mary-Krause, M., Simon, A., et al. "HIV replication and immune status are independent predictors of risk of myocardial infarction in HIV-infected individuals." Clinical Infectious Diseases. August 2013; 5(4):600-607. Hsue, P.; Lo, J.; Franklin, A.; et al. "Increased atherosclerotic progression in patients with HIV: The role of traditional and immunological risk factors." Tenth Conference on Retroviruses and Opportunistic Infections (CROI 2003); Boston, Massachusetts; February 10-14, 2003; abstract 139. Monforte, A.; Reiss, P.; Ryom. L.; et al. "Atazanavir is not associated with an increased risk of cardio- or cerebrovascular disease events." AIDS. January 28, 2013; 27(3):407-415. Does HIV Increase Your Risk of Cancer? Can Nutritional Supplements Help Fight HIV?